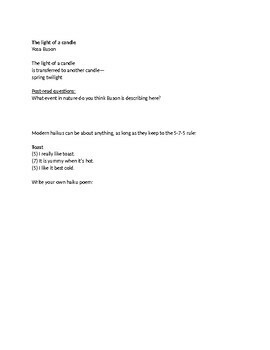 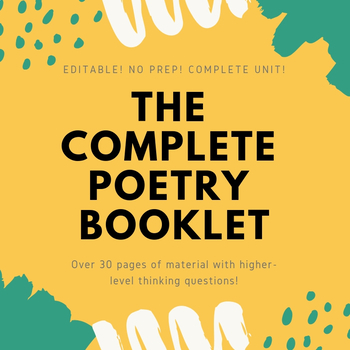 Over 30 pages of poems with higher-level thinking post-read questions! 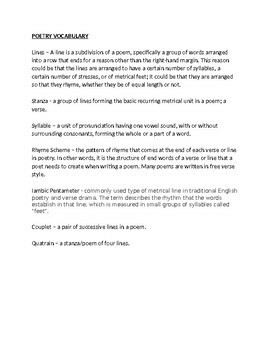 Includes famous poems such as "The Raven", "The Road Not Taken", "I Wandered Lonely As A Cloud", "In the Station of the Metro", and many more! 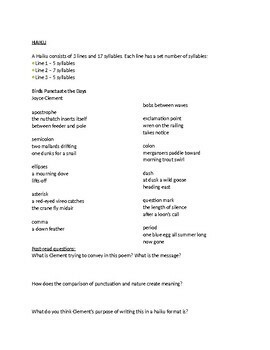 Great for use over a unit; students can utilize the poetry vocabulary page to answer their post-read questions.